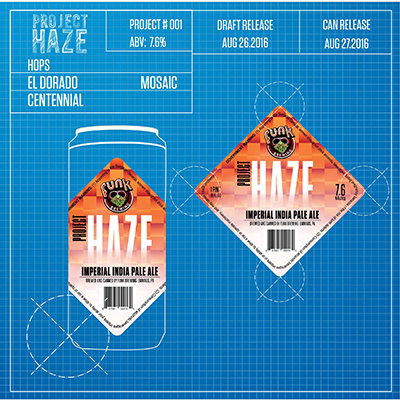 The crew over at Funk Brewing company is releasing a dank-sounding IPA called Project Haze this week. It’ll go on draft on Friday, August 26th at 4pm (growlers aren’t allowed) and cans will be released on Saturday, August 27th at noon. This imperial IPA uses El Dorado, Centennial, and Mosaic hops and clocks in at 7.6%. Four packs will be $15 and cases are $80. There’s a limit of one case per person and only 120 cases available.